For our final concert of our 2017-2018 season, we invite you to be lifted up as you listen to our Midsummer Dreams concert. This selection of choral masterpieces are by a range of composers, from between the 17th and 20th centuries: J .S. 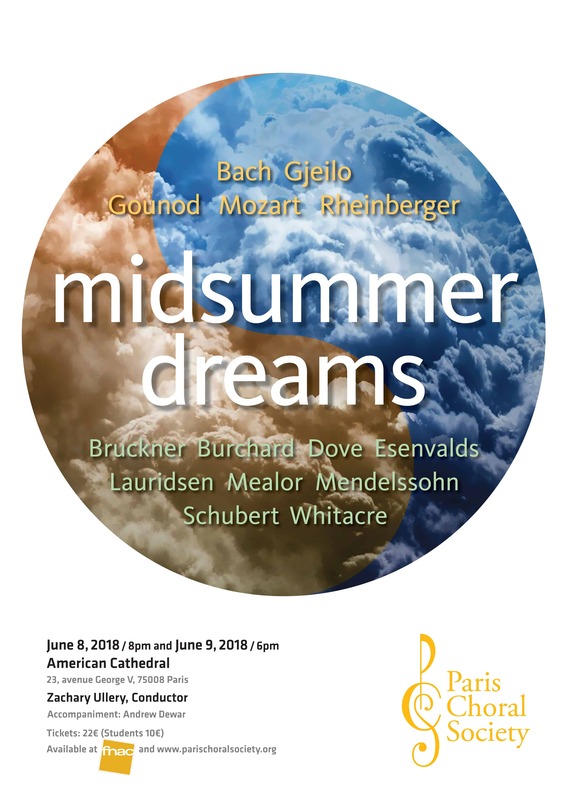 Bach, Bruckner, Dove, Esenvalds, Gjeilo, Gounod, Lauridsen, Mealor, Mendelssohn, Mozart, Rheinberger, Whitacre, Schubert and Burchard. You will be enchanted by the haunting, peaceful, joyful melodies and harmonies of the Sanctus and other pieces coming towards your ears. We hope you enjoy this concert as much as we have enjoyed preparing it.